Do you sell comics? Do you manage Comics Pull Lists? Hold on a second! Selling comics is harder than ever, extra stock is a problem, not having enough on hand is even worse. Ordering is a chore, and customers want to know what they’re getting right now. What if there was an easier way? 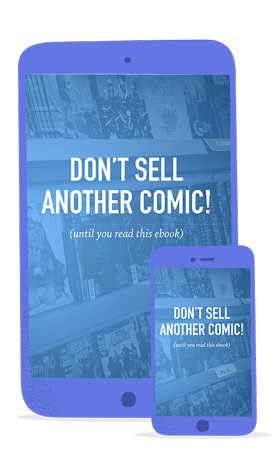 Download this ebook and find out how to make more money with comic subscriptions. 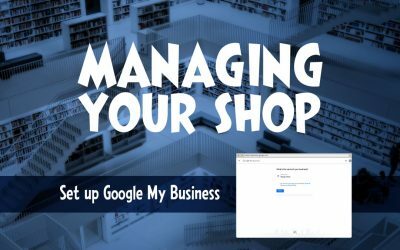 Your customers need to know how to find you (thank you so much Captain Obvious of the League of Unhelpful Advice), and many people will search online to find your shop. 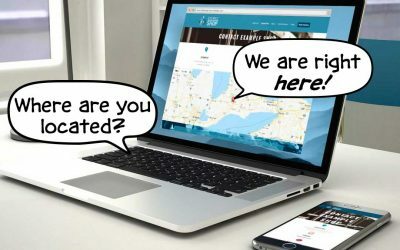 They may know the name of the location, or just know that they’re looking for a “comic shop”, which is where “Search Engine Optimization”, or “SEO” comes into play. For more than a decade, the first Saturday in May has been an anticipated date for comic book aficionados and novices alike– and for good reason. 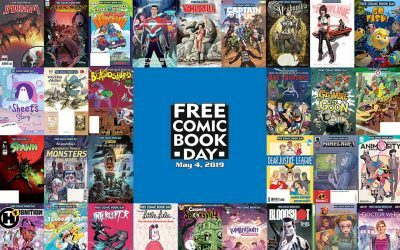 Beginning in 2002, comic book and hobby shops around the world elected to start participating in a community-geared event known as Free Comic Book Day. The cornerstone of anything you do online should be a website. A website is an asset, you own it entirely, and unlike your social media presence, it can never be taken away from you. In this week’s column, I will detail the minimum amount of details that you should have on a website. Subscriptions are at the heart of every comic shop’s business model. They guarantee return trips from your customers, and it makes it easier for you to predict what you need, and when you need it. The problem is subscriptions are hard to manage. Your customers want to know what they are getting, and when they are getting it. They want to be able to order new things, and they want to see what they have waiting for them. If you give them control, they feel more loyal to you. Most people don’t even know what’s available! Previews is a huge catalogue filled with things that may or may not interest them. Store shelves give you an idea of what’s out, but not what’s coming up, and nobody can follow all of the news on all of the websites. Pulling comics has never been this easy. 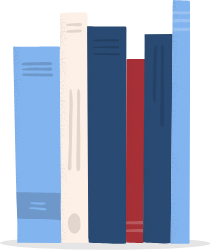 You select what has come in, update prices or exchange rates, click a button, and get a beautifully formatted list ready for you to read. You can choose to view it as a “per customer” list, or by title. 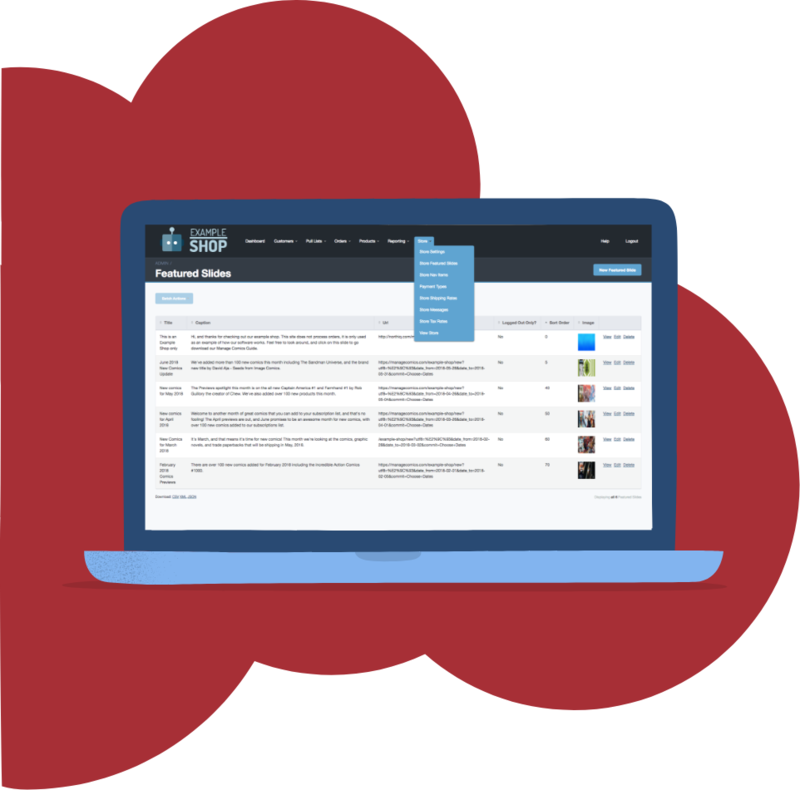 You can even let your customers know what has been set aside for them every single week. Management on the go! The Manage Comics website is fully mobile, that means you can manage the admin interface from your phone or tablet, and your customers can add or modify their lists right from their mobile devices! Best of all, your comic shop is open 24/7, they don’t need to call or email you to make a change, and you get notified about list changes every day. 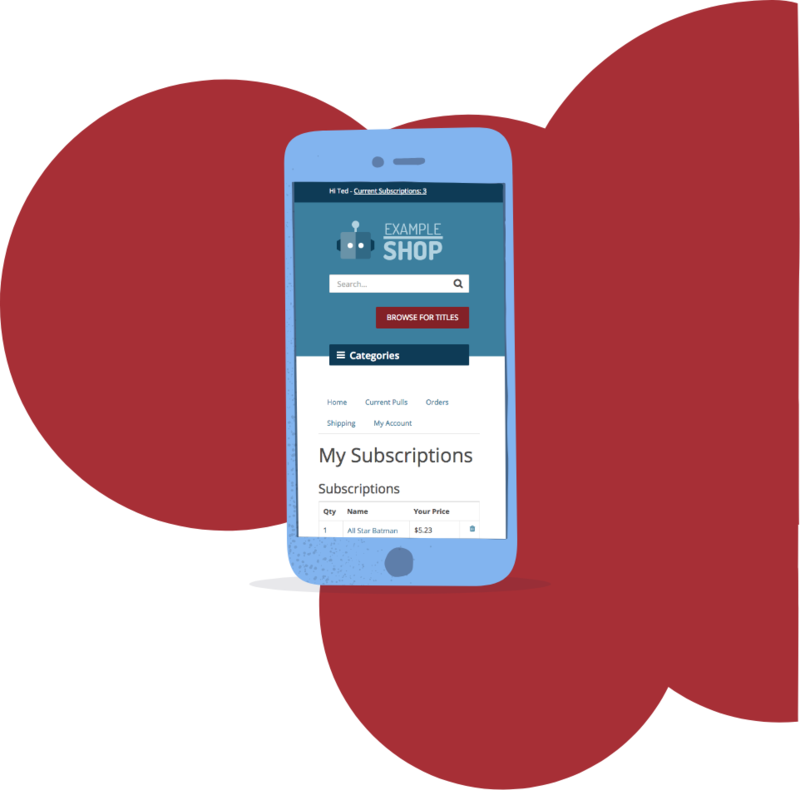 Let your customers manage their subscriptions. 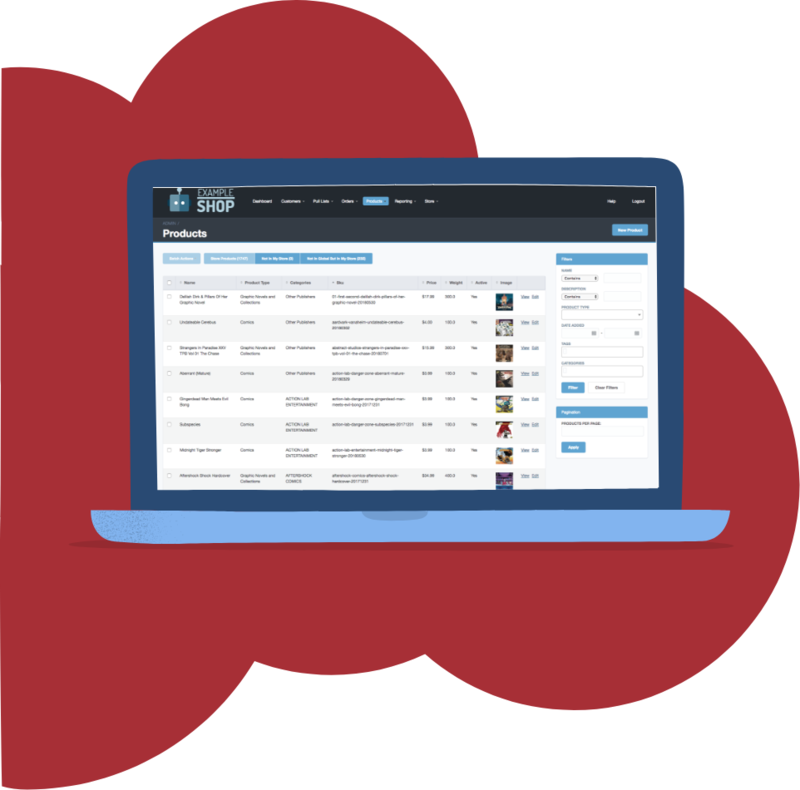 The Manage Comics interface lets customers pick from hundreds of titles that are available for subscription. You set the terms between adding or deleting a title and when it is pulled, and they see what they will be getting. You can send out updates to them by email letting them know that new products are available to subscribe. Coming soon – Manage Comics will suggest things they might be interested in based off their existing subscriptions. We want to show you how great Manage Comics is, and the best way to see them is our webinar. 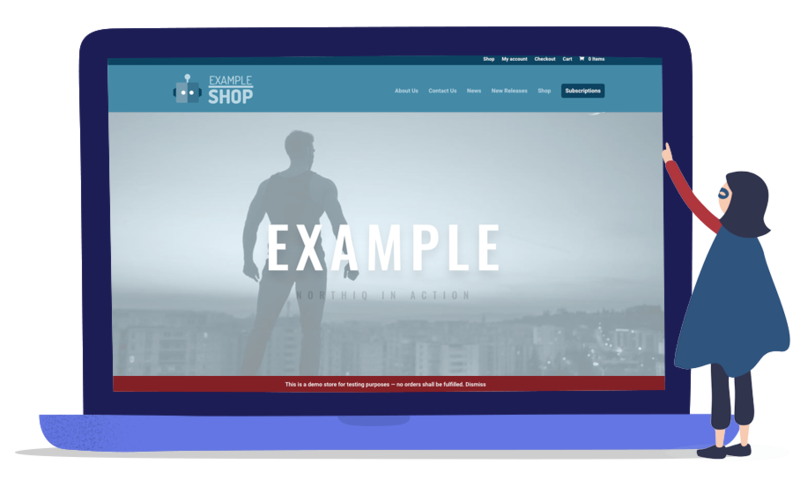 You’ll see Brian Garside walk you through a live demonstration of the client side, the administration side, and all of the various reports you can use to break down your sales. Plus, we’ll walk you through ways that you can get paid faster by using Manage Comics to bill your customers through our safe and secure 256bit encrypted connection to three different major payment gateways. Our WEBINAR will give you a demonstration of all of the benefits of Manage Comics, and you can ask your own questions during the webinar. You can watch this Webinar anytime. Manage Comics is worldwide, with stores in Canada, the United States of America, and even Australia using Manage Comics! 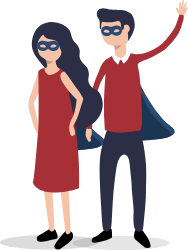 Manage Comics’ parent company NorthIQ are experts at building websites that will transform your business. Check out our exclusive offer, and bring your website into the modern age with high quality design, super-fast hosting, and the ability to sell your products online anytime, anywhere.